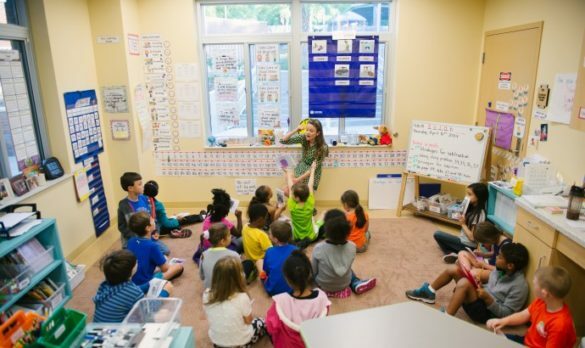 Collaborative Classroom, a nonprofit organization, improves the school experience of children across the globe by providing teachers with engaging curricula and ongoing professional learning that support the academic as well as the social and emotional development of the students we all serve. In collaborative classrooms, students achieve more while feeling safer and developing a strong sense of community. Teachers are more prepared, less stressed, and more confident. Our nationally recognized literacy and after-school programs create engaging learning experiences for students while supporting the ongoing development of teachers. Find practical support for building and maintaining your own collaborative classroom. Our free videos and downloadable resources support teachers new to the collaborative classroom as well as longtime partners. Connect with Collaborative Classroom and Facing History and Ourselves, two nonprofit professional learning organizations that support K-12 pedagogical practices through curricular resources and professional learning. At this convening, we will celebrate the forthcoming Ohio Social Emotional Learning Standards, deepen understanding of the importance SEL plays in equity and academic rigor, and experience teaching practices that intentionally integrate social-emotional learning skills. Dyslexia: What Is It, and Why Are We Hearing So Much About It? Explicit, Systematic Phonics Instruction? So glad you asked . . .
Help, My Students Are Struggling in SIPPS!